The design competition is intended to promote real world design experience for students interested in pursuing a career and/or education in water and wastewater engineering and sciences. This competition tasks teams of students to design and present a program meeting the requirements of an authentic problem statement from around the Rocky Mountain region. The competition promotes interest and skills in wastewater treatment that will prove to be extremely valuable to students as they enter the professional world. The competition consists of two parts, the written submittal and the presentation. The competition is sponsored by the Rocky Mountain Water Environment Association (RMWEA)/Rocky Mountain Section of the American Water Works Association (RMSAWWA) Student Chapter Committee. The Rocky Mountain Region includes Wyoming, Colorado, and New Mexico. 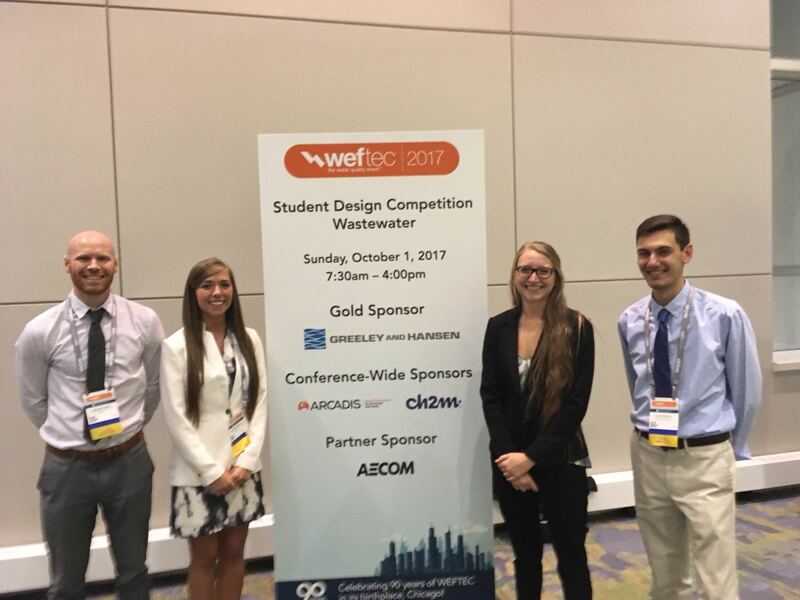 The winning team will be awarded with a funded trip for members to compete at the National Student Design Competition at WEFTEC in September. This is an excellent opportunity for students to showcase wastewater treatment applications in Colorado to a nation-wide audience, and to connect with a host of wastewater professionals. The competition has been a great success in the past, with student teams from universities in Rocky Mountain Region winning the National Competition in 2009, 2011, 2012, 2017, and 2018, and taking 3rd place in the National Competition in 2010, 2013 and 2014. The competition is also supported by sponsorship from a participating facility/utility. The participating facility/utility provides the problem statement for the competition, facility tours, final design reviews, and judging. This competition is a great opportunity for wastewater facilities to receive regional and national exposure, and to support the emerging professionals in the water/wastewater industry. Please reach out if you are interested in involving your workplace as a facility/utility sponsor. The team from the University of Colorado Boulder took 1st place in the 2017 National SYPC Student Design competition in Chicago, IL. From left to right: Alan Bracewell, Riley McConnell, Sarah Vander Meulen, E.J. Katsoulas.